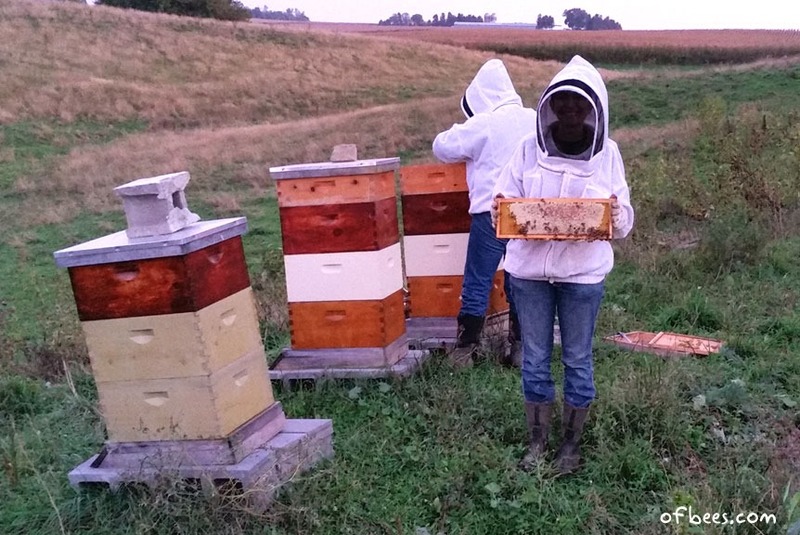 2015 was an incredibly busy year for our fledgling farm! We moved to our new location in April and established our new apiary, built a chicken coop (promptly filling it with chickens), then added heritage turkeys, ducks, geese, pigs, yak, and a highland cow to our small homestead. 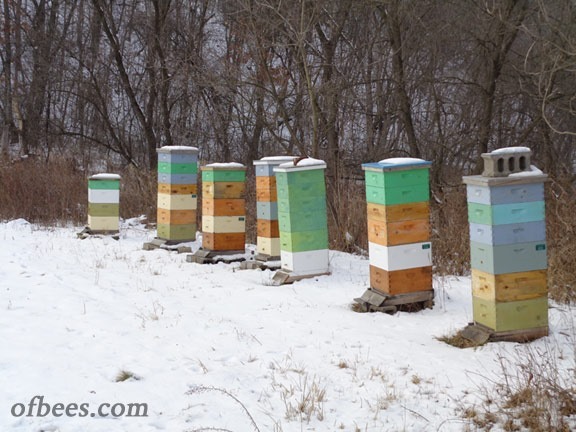 Hives in the middle of winter, 2015. 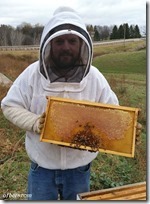 Bees stay in the hive over winter, with very little activity outside of the hive. They leave just for ‘cleansing’ flights, since they don’t want to dirty the inside of the hive itself. If it’s 55 degrees or less, they stay inside, which corresponds to about October through April here in Minnesota. 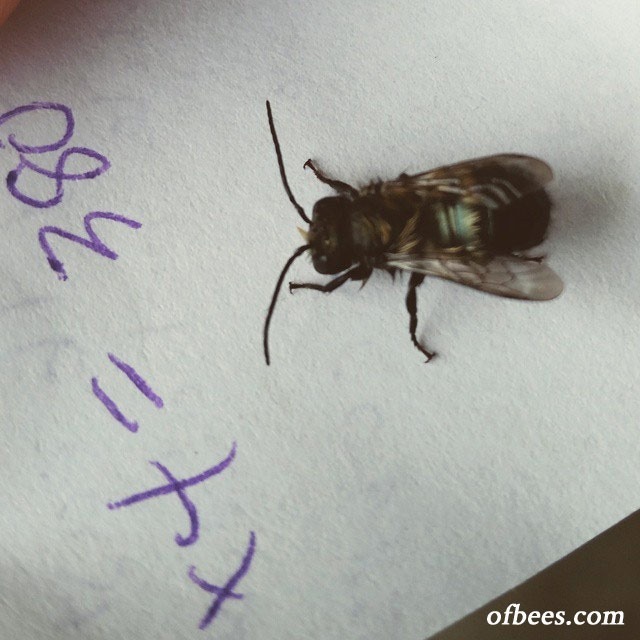 Long winter for bees! 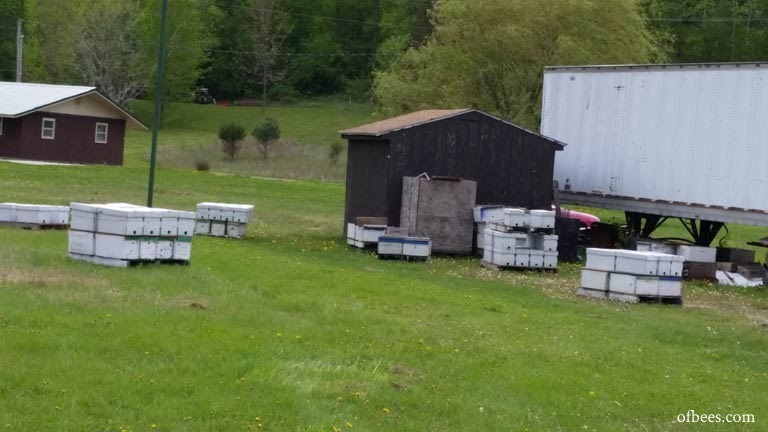 Because of our move (right during the time we would have to have been installing new bees), we decided to purchase ‘nucs’ – small, already established colonies of bees. Here’s a photo from when I went to pick them up from a local farmer. 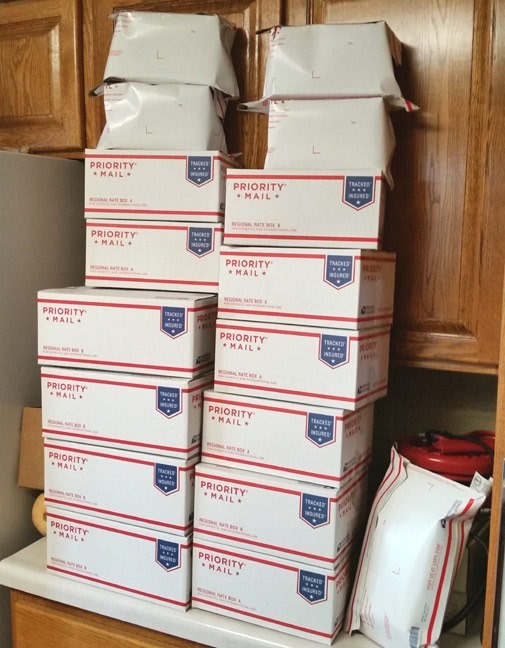 Each of those boxes contains a new starter colony - a queen bee with her brood, worker and young bees, and five frames - ready to be installed into a new hive box. This was the first year we had visitors coming to meet their bees! It was great fun. People got the chance to suit up and see what it looks like inside a working colony. 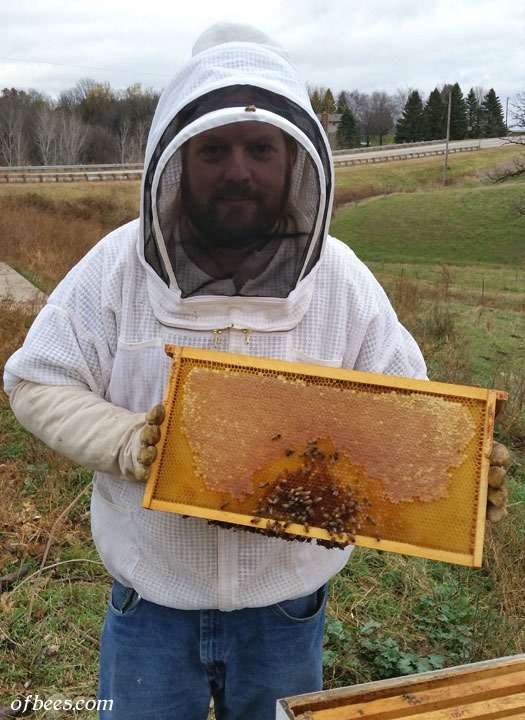 A friend of ours joining in on an apiary inspection. 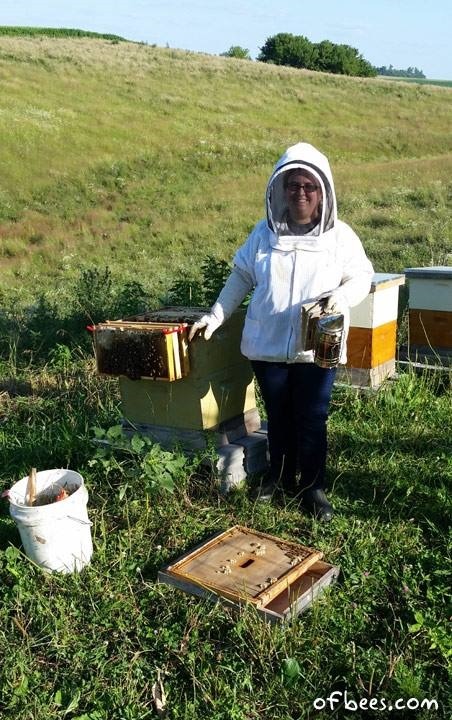 One of our hive share sponsors being beekeeper for a day! 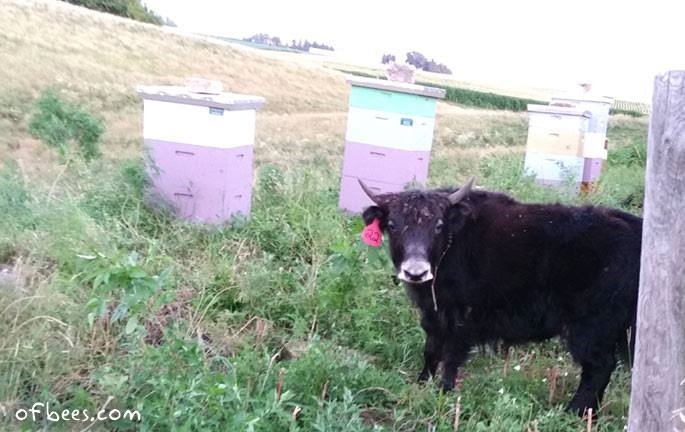 Suki the sassy young yak, who doesn't care about the bee hives, which are located in their large pasture. 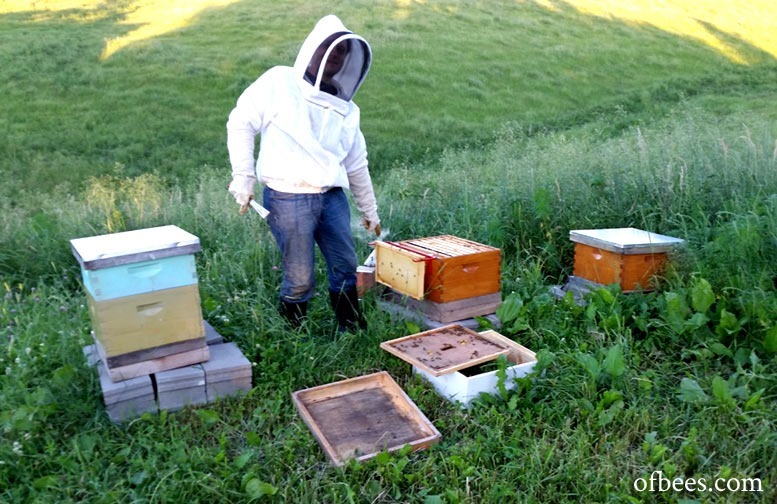 We are working on creating a grass-based, rotational/sustainable livestock system for our farm and the bees are a huge part of that! They pollinate the wildflowers and plants that keep the grounds healthy, as well as nurturing our gardens, pastures, and miles of neighboring countryside! 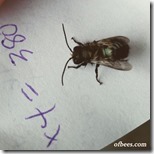 Our first blue orchard mason bee, newly hatched! Thanks to our native bee sponsors, we installed multiple native bee houses and were able to hatch our own mason bees, hoping to increase the local population. 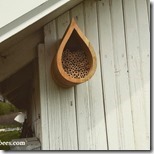 Mason bee house attached to the barn - lots of little cocoons inside that are hatching! Later in the spring a very determined bird tossed all of the straws out (don’t worry, we recovered them) and made a nest inside. We’ll be adding screen mesh to the front next year so the birds won’t be able to keep rearranging our plans. 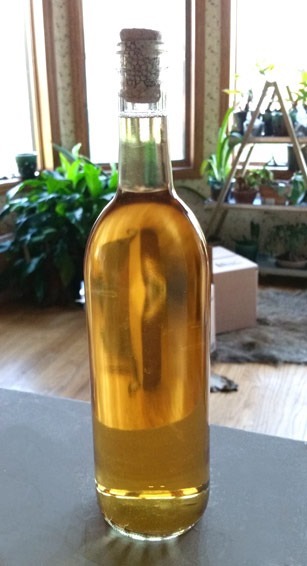 Our first bottle of finished mead, ready for aging! 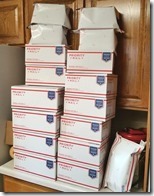 This is from that batch you can see in the previous blog post. Sting, stang, stung. 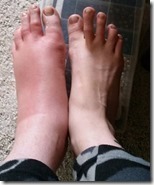 Being a beekeeper means inevitable stings. I’ve been having large, localized reactions to the stings which cause a lot of swelling, pain, and itching for about 6 days after a sting. I’ve been trying to be really careful about not getting in the way of angry bees but I’ve had a few more stings over the year. 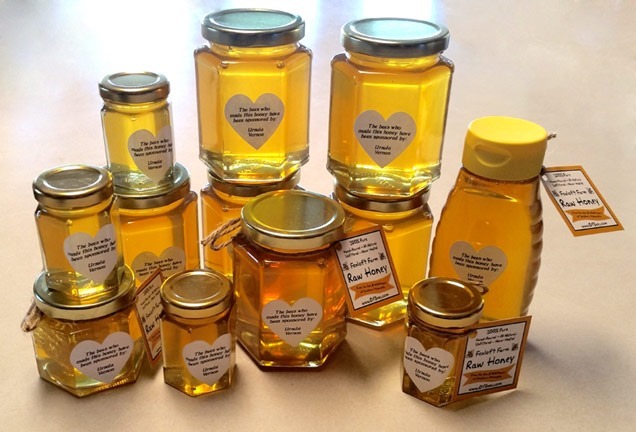 Here’s the product of our year of work – a full hive ‘share’ of honey, bottled and ready for shipping!